Shielded Past by Patti Morelli. The full tour schedule can be seen here. Shielded Past is riveting and full of suspense. So many questions need to be answered. We find out about Kate’s life in foster care after being abandoned by her mother. We meet Annie Collins, her best friend since their high school days. Kate meets her ideal man and they purchase their dream home. This home was restored to its magnificent grandeur by her husband Gregg, and it is here that the intrigue begins. There is a light that shines every evening from the adjacent abandoned Marlboro Psychiatric Hospital in New Jersey, and with this, the suspense commences. We journey with Kate and Annie as they seek answers to the source of the light. It is not only the light they are seeking answers to, Kate’s past is also in question. Her seemingly bright future becomes more clouded by the unknown as the questions multiply. Kate wants to know who she is and finds out rather quickly that she was lucky to be shielded from her past. The forces that must be contended with are both dark and light. The two are not always distinguishable, and knowing who to trust is not always obvious. When Kate finds out her real surname, it connects her to a family she never knew existed. 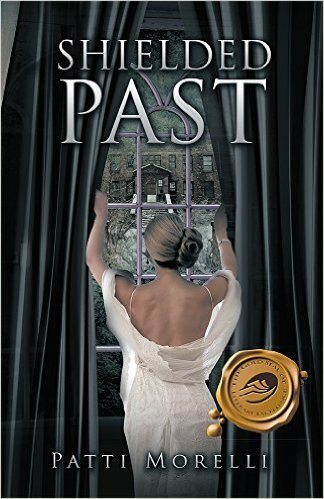 With the help of her new found family the past is unravelled and the truth about her parents is revealed. Kate must now live with the memories of the horrors that were inflicted on her loved ones. Meet the man and learn his reasons for torturing so many innocent victims. The suspense does not end here. There are questions that still remain. Was there a connection to her dream home and her past? Why does Kate and all those who love her feel that she is in danger? Patti’s first book was written under a pen name because the personal contents. Her book was the first in 2014 to received the Gold Seal of Literacy Excellence through Trafford Publishing. Patti has achieved success in business, politics, marriage, motherhood as well as the challenges life has given her. She is a mother of three and now enjoys the moments shared with her children and her two grandchildren. Patti’s husband suffered a massive stroke in 2008, being his caretaker has open a world she had never known before. She finds peace in her writing, Patti has been writing for over 30 years, she now has the confidence to publish her work. Shielded Past was written over ten years ago, after Patti viewed the grounds of the Marlboro Psychiatric Hospital. She said standing in the halls of the building, she felt an eeriness that could not be explained. Through her vivid imagination and her love for suspense novels, she conjured up the characters and then invented what could have happened in this hospital many years before. Kate walked over to the window and saw the light also. When the light moved, Sam barked again. “What a case. This man is like an onion, I peel one layer and another one appears. Where do I start? One night, when I had gone to bed, he locked my door and then I heard the car leave. I looked out of my window towards the hospital and about ten minutes later I saw a light go on, it was on the second floor. I shuddered, remembering how he would go into Joshua’s room at night. Could that be Joshua’s room, I thought to myself?